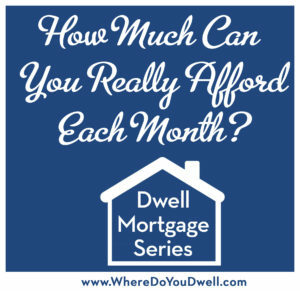 How Much Can You Really Afford Each Month? In last week’s article, we said that the very first thing you should say to a lender is to tell them what you want to pay per month and NOT start with the purchase price. Because what you are going to pay each month is what matters most to your budget and is really what you should be focusing on with your lender and not what you could be pre-approved for by them. 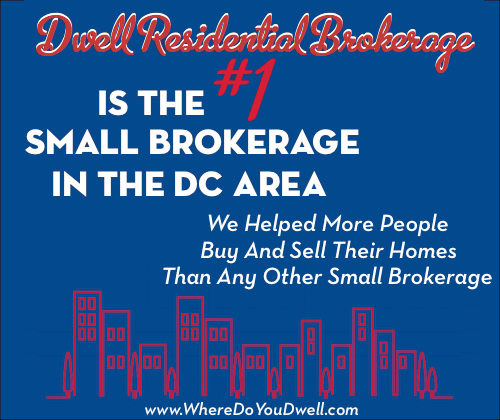 That way you can ensure you get the very best mortgage for YOUR specific financial situation and housing goals. Also, many times when buyers find out what a certain purchase price equates to in monthly payments when you include taxes, insurance and condo fees, that “monthly payment” is not at all what they expected. So, it’s best to start with what you want to pay per month instead of your approval amount or a certain purchase price. We’ll get to a purchase price, but not until we go through this important step first. We answer this exact question for you this week. Where does your money go now each month? How much is going to rent, to food, to travel, car, gym, etc.? What expenses could you tighten-up on to get the home you want? List all the costs of homeownership — property taxes, mortgage insurance, home insurance, maintenance, utilities, and condo fees, parking fees, if applicable. We can help with estimates! List all other expenses you expect to continue — such as gym memberships, day care payments, car loans, school loans, gas or commuting fees, etc. Estimate yearly maintenance costs for a home. Plan to spend or save about 1% of your home’s purchase price each year. So, if you buy a $300,000 condo, you should be putting about $3,000 per year into the home for maintenance or into a savings account for when you need to replace something in the future! This is definitely an overestimation of what is needed each year, but when you need a new air conditioner in the middle of summer all of a sudden, you’ll have funds to pull from and you won’t create a financial hardship. Include any tax advantages you’ll get as a homeowner. You’ll have deductions or equity in your home and can expect a larger refund that could go toward your savings. Conservative financial planners will say you should spend one-third of your pre-tax income on housing. To figure this out, multiple your pre-tax income by 33% . For example, if your pre-tax income is $7,000 per month, your total monthly housing budget can be $2,750 per month. Because we live in a high cost of living area, places like DC, New York, San Francisco, etc, you can go as high as 40% of your pre-tax income, depending on your monthly budget elsewhere, and be okay. Now, if you are in the midst of two daycare payments, you may want to stick to the lower side of this range. These numbers may seem high, but after your tax returns once you are a homeowner, you’ll feel much more comfortable with these numbers. One big benefit of becoming a homeowner that you are not currently receiving as a renter is the enormous tax benefits. As always, we can’t give tax advice, so please check with your CPA to understand the tax implications to your personal returns. However, there are some general benefits you should know about and consider when you are determining your monthly housing budget as a homeowner. The major benefit that you can learn more about just by Googling is that your mortgage interest is deductible. That can mean as much as 30% of your mortgage payment will be deducted from your income taxes. You most likely will get a nice chunk of change in your income tax return that you aren’t receiving currently as a renter, making it a big difference between homeownership and renting! This deduction can really make your monthly payment as a new homeowner feel much more manageable and better than that same amount in rent that just goes away and you never see again. Again, no tax advice being given here so please check with your accountant or CPA to understand the exact benefits you’ll experience as a homeowner as compared to renting. If you have any questions about calculating a monthly budget, please contact us. This is a CRUCIAL step to figure out BEFORE you start looking at home. Once you know your monthly budget, you’ll be able to work with the lender to determine your price range, which will then help you finalize your mortgage product and down payment options. We are being a little conservative here, but we also don’t want you to be house-poor. Only you know your spending habits and what’s best for your financial life. We’ve just shown you some ways to help you find the number to tell your lender when you meet for the first time (remember our advice last week). This one is a biggie! But, you need to go through this monthly budget step first, so get this homework done before next week.